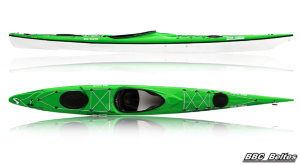 Kayak is designed for steep waves of often stormy Baltic sea. The length of the kayak ensure excellent pace, "cut-off" rear end prevents side and back waves from turning boat off the course. The kayak has steering equipment, backrest, 2 hermetically sealed boxes for belongings. Boats streamline provides high stability and easy pace. 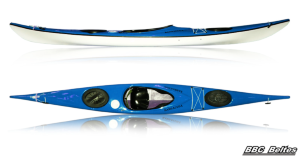 Small keel in rear part of the kayak ensures stability of boats course in the side wind. Boat is specifically designed for long distance travelers. The breakwater protect špricdek from water. Stability could be of critical importance in windy weather. 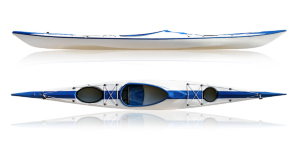 The kayak has steering equipment, backrest, 2 bigger and 1 smaller hermetically sealed boxes for belongings. Boats streamline provides high stability, very good manoeuvrability and easy pace. 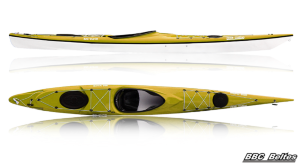 The kayak has steering system, backrest, 2 hermetically sealed boxes for belongings. Streamline in the middle part of the boat is designed to sustain maximum speed in longer distances. 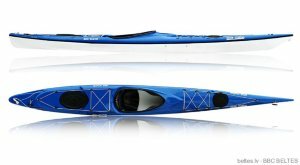 The boat is designed for sporty people with developed sense of balance who want to achieve high results in various rowing competitions. Streamline in the middle part of the boat ensures high maneuverability, easy and fast pace. Boat is advised for sporty rowers. There is awavebreaker built in the deck before the cockpit. 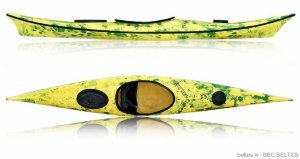 Very simple and very stable kayak. Boat is designed for ahieving good results in various races. Main features: comfortable, light weight, relatively low price. The wavebreaker protect špricdek from water. 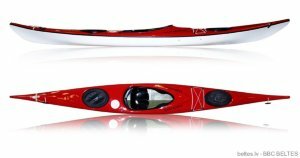 Kayak is designed children starting from 7-8 years until they grow out of it. Boat is designed for children to train their first rowing skills. Boat is equipped with hermetically sealed luggage section. Boat enables children to train using equipment which is tailor-made for them. Soft ends of the boat help to avoid accidents and traumas.